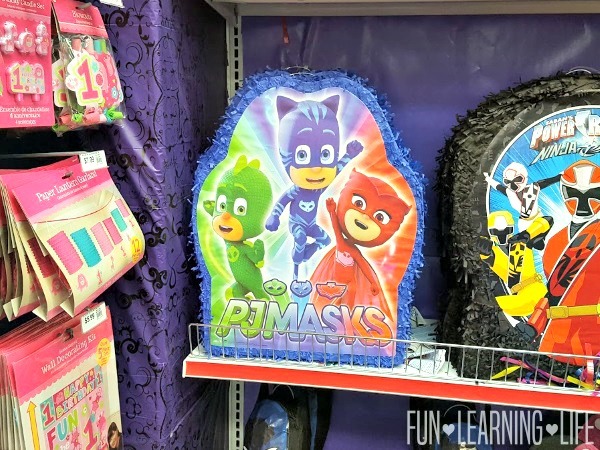 Are you planning a PJ Masks Themed Birthday Party or just looking for an excuse to host a get together with items showcasing Cat Boy, Owlette, and Gekko? A special thank you goes out to PJ Masks for providing my family with party favors as well as a Party City Gift Card. Opinions expressed about the Fruit Freezer Pops Inspired by PJ Masks Party Decorations are that of my own. 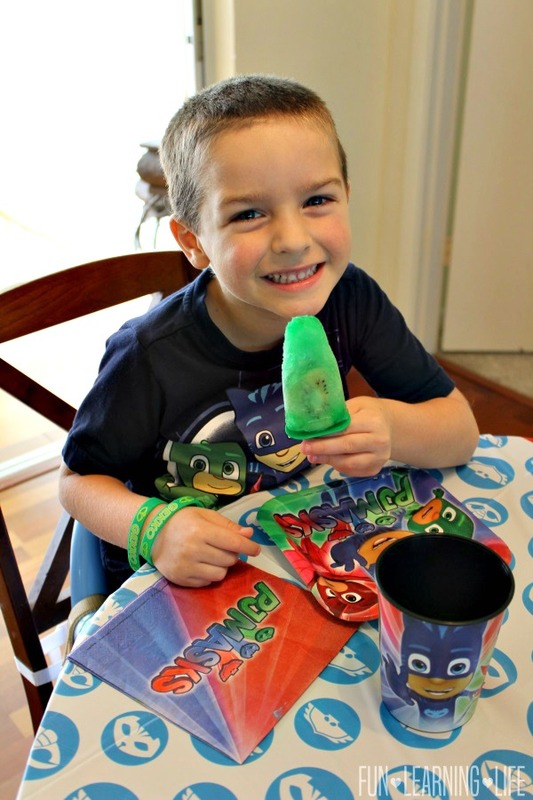 If so, I am happy to share a fun Freezer Pop Recipe inspired by the show as well as information about all the PJ Masks Party Supplies available at your local Party City. Read on below for more product details along with how to make this fun treat. 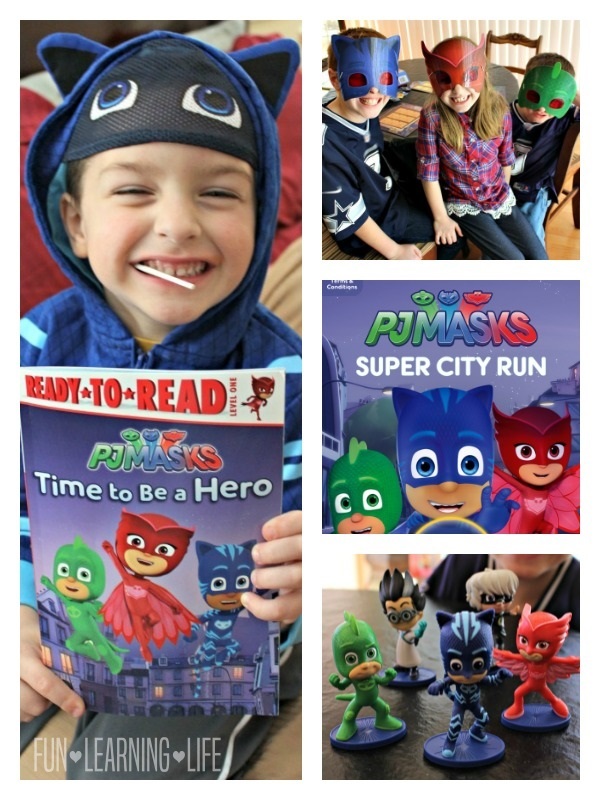 One of the things I love about PJ Masks, is it is a series that provides inspiration for both boys and girls. This makes it an excellent party theme for preschoolers inviting all of their buddies to a party. 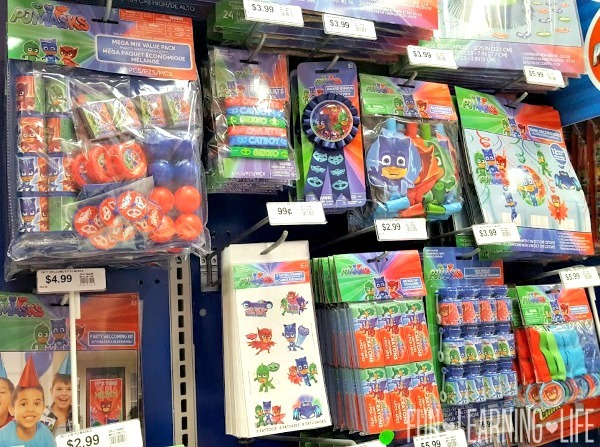 At Party City, not only can you find PJ Masks plates, dessert plates, and table clothes, but there are napkins, cups, along with temporary tattoos, bracelets, and special plastic cups for the kiddos. In addition, there are room decorations like banners, a pinata, as well as honeycomb pop outs. 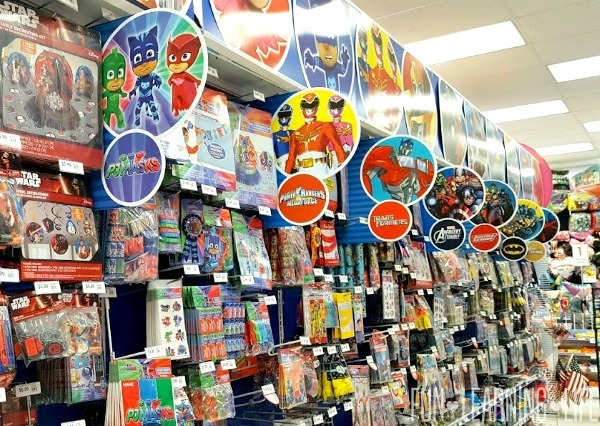 Party City really makes it easy to get your celebration started right. 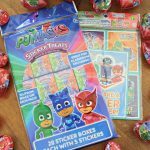 Want to also have a fun PJ Masks Inspired Treat? 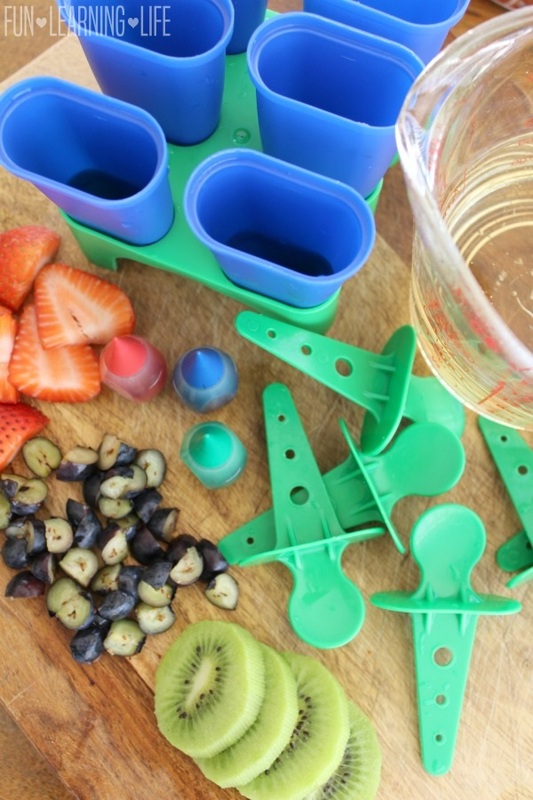 Here are the details on how to make my Fruit Freezer Pops. First, pour the Ginger Ale into a measuring cup to settle the bubbles and to make it easier to add to the holders. 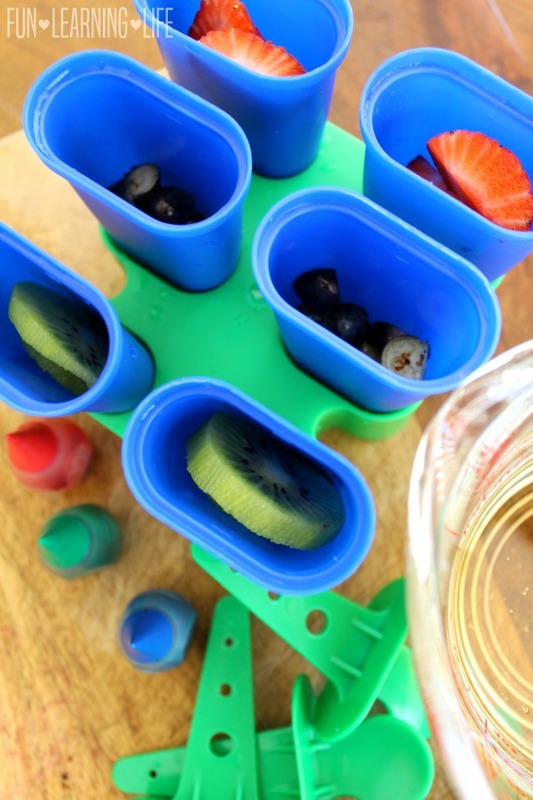 To get started with the fruit, peel and slice the Kiwi, slice the Strawberries, and cut the blueberries into 4ths. Tip: Small children should not be left unattended as they eat these pops. This is a snack intended for those that can chew properly and the fruit can always be cut into smaller pieces, or pureed before adding to the pops to freeze. Then, add a drop of red food coloring into 2 slots and do the same for the blue and green. Next, add the Kiwi to the green, the Blueberries to the blue, and the Strawberries to the red. Finally, pour Ginger Ale into each slowly almost to the top and then place the pop sticks on top. Freeze these for at least 3 hours or until set, you then have fruit filled freezer pops in the right color to coordinate for Cat Boy, Owlette, and Gekko. Plus, the PJ Masks Table Cloth, Plates, and Napkins are an excellent way to serve these treats. 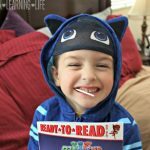 Looking for additional PJ Masks party ideas? 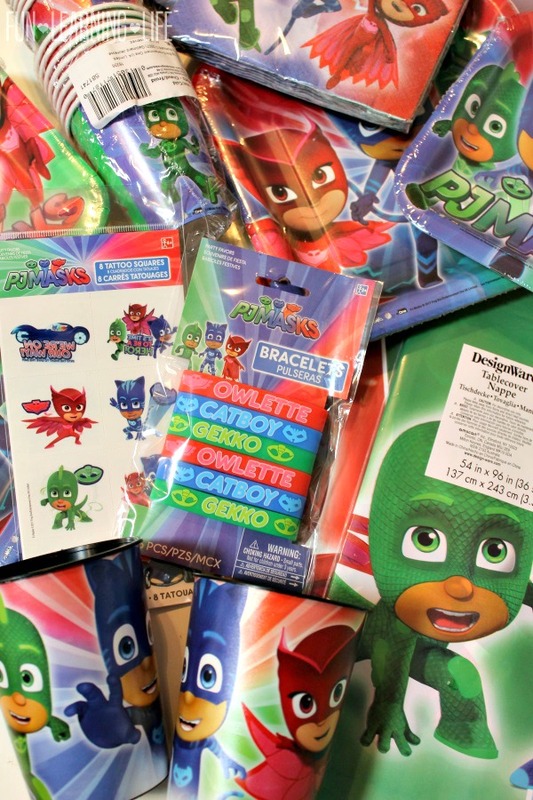 Visit the PJ Masks Official Hero Celebration Kit to find invites, decorations, character masks and activity sheets. I hope these Fruit Freezer Pops as well as party supplies make your next Super Hero get together fun as well as festive. 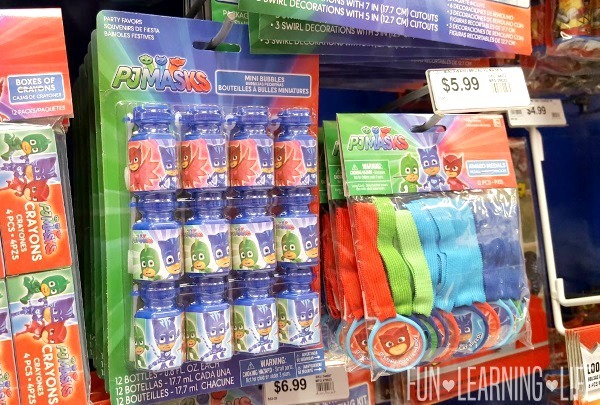 For more details on PJ Masks party supplies and favors visit your local Party City or shop online at partycity.com. 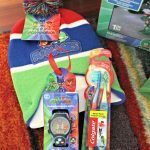 Looking for Birthday Gifts for your preschooler, be sure to check out 11 FANTASTIC PJ MASKS GIFT IDEAS FOR YOUR PRESCHOOLER! 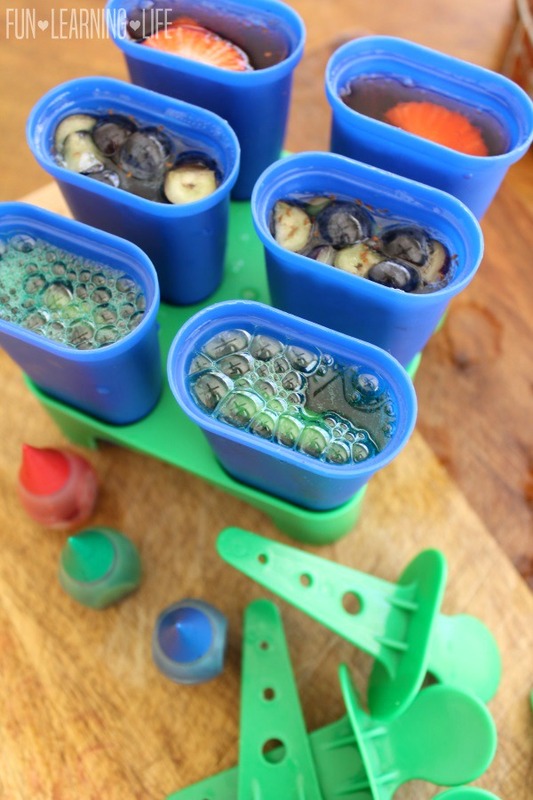 These freezer pops are going to be a hit in summer. 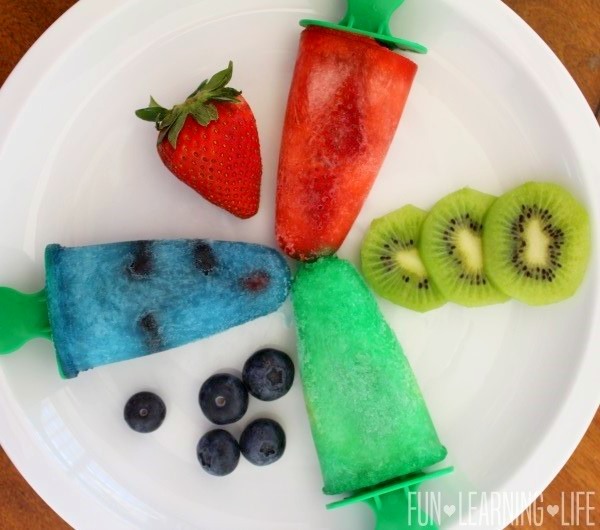 These are really healthy fruit pops that my kids would love to make and Pj Masks is a great party decoration to use. I will have to make these for Spring and Summer! These awesome treats are perfect for summer. I am sure that my little one would love to try them too! Thank You for sharing! What a great idea! I love ginger ale so I'll just have to whip up a batch for myself as well as for the kids! :) thanks! What a great idea! These look amazing and I'd like to make them soon for my family. I'm excited to make these! What a great idea! Perfect for summer. These look yummy. I love that they're made with fresh fruit. It is starting to get warm here and I am so making these for the kids. I used to make fruit pops for my kids when they were small. Always a huge hit. This is a great recipe for the summertime! I think that these are great! The colors are great! These are so much healthier and nicer looking than the kool aid that we use to freeze in a cup and eat.